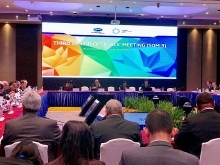 As part of the second Asia-Pacific Economic Cooperation (APEC) Senior Officials' Meeting (SOM 2) and related meetings, the Committee on Trade and Investment (CTI) held a Trade Policy Dialogue (TPD) on Environmental Services. The dialogue was designed to provide information about the classification of environmental services, study the combination of environmental products and services and discuss ways for APEC member economies to support each other in accelerating negotiations on environmental services. Speaking at the dialogue, Jehan Sauvage, a Trade Policy Analyst in the Trade and Agriculture Directorate of the Organization for Economic Cooperation and Development (OECD), shared his expertise about environmental services. He said there are three types of environmental services, including key environmental services (wastewater treatment and underground water management); environment-related services (consultant and technical services); and other services directly related to the environment (legal and auditing services). Participants also discussed about water resources business at the dialogue where they mentioned factors considered as a driving force to enhance creativity and efficiency as well as challenges in this field. disposal, treatment and management not only bring benefits to society but also the environment. Addressing the environmental damage was also a type of service debated by participants. This sector has faced a number of challenges due to different standards and regulations on the environment in different economies and political institutions. During the final session, participants APEC promotes negotiations on services also discussed renewable energy business in an effective manner. The sense of efficiency in thinking and action could improve the quality of business and increase competitiveness in the market. However, legal challenges are likely to hinder development of the renewable energy sector. Under the chair of the Ministry of Industry and Trade, the CTI held a “Workshop on SMEs’ Integration into global Value Chains in Services Industries - Fashion Design”. Speaking at the workshop, Andrew Yuen, associate director of the Hong Kong APEC Study Center, presented the study results on small and medium-sized enterprises’ integration into the global value chain in the fashion industry. “The fashion industry not only brings tremendous economic value but also contributes to socio-cultural orientation,” Andrew Yuen said. The workshop also analyzed the policies and discussed measures to support the fashion sector in APEC member economies. In addition, participants shared the opportunities and challenges that enterprises encountered in the integration process, and provided recommendations and possible solutions to overcome those challenges. 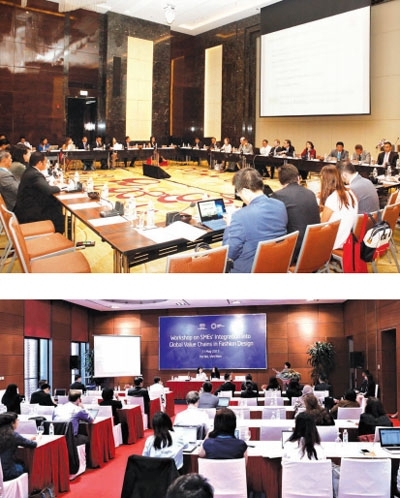 The Sub-Committee on Standards and Conformance (SCSC) held a Wine Regulatory Forum Technical Meeting with such contents as wine traceability, production and safety as well as international standards and control of imported wines in Vietnam. The meeting focused on discussing the Model Export Certificate approved by the APEC Ministers Responsible for Trade (MRT) Meeting in Peru in 2016 in order to remove technical barriers to wine exports and imports in APEC member economies. In addition, the meeting also organized a roundtable discussion among management agencies, wine producers and scientific researchers on harmonization of technical requirements and methods of wine analysis. Meetings in the framework of the SCSC provided opportunities to review the results and action plans, and bring out contents and requirements in order to promote regional trade growth in an effective manner. 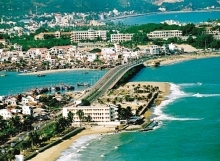 a forum for APEC’s 21 member economies to deliberate trade and policy issues.